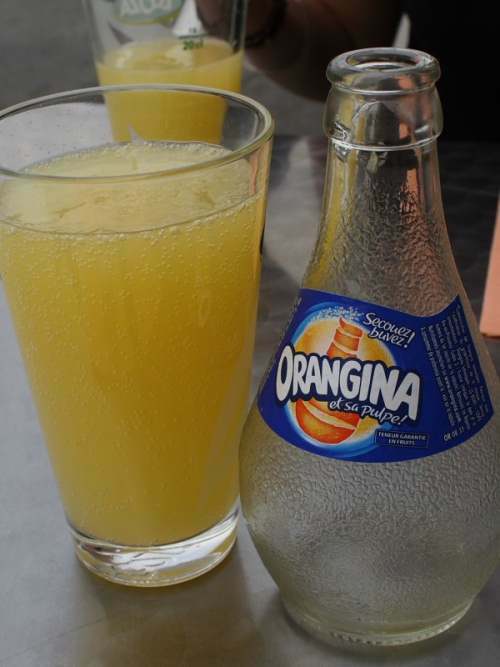 Orangina is an orange juice based soft drink that’s massive in France and other European countries. It comes in a funny shaped bottle and needs to be shaken up before serving. “Shake the bottle, release the flavour”, as the advert goes. It’s quite good, actually – a lightly carbonated orange drink with hints of lemon and grapefruit. Two percent by volume is made up of fruit pulp, so it’s easy to kid yourself that it’s good for you. What’s the story with the bottles? Orangina comes in bulbous, pear shaped bottles that have a rough texture that’s supposed to be reminiscent of orange peel, although this is perhaps stretching the concept a little. The shape of the bottle is instantly recognisable. The current French advertising campaign involves anthropomorphic animals (deer, crocodiles, etc) in swimsuits, posing on Orangina bottles. It’s all quite strange, sinister even, and I have no idea whatsoever what it’s all about. It’s all very French, isn’t it? Absolutely. The French love it, and it’s the closest thing they’ve got to an iconic soft drink, even though it was invented by a Spaniard. No. 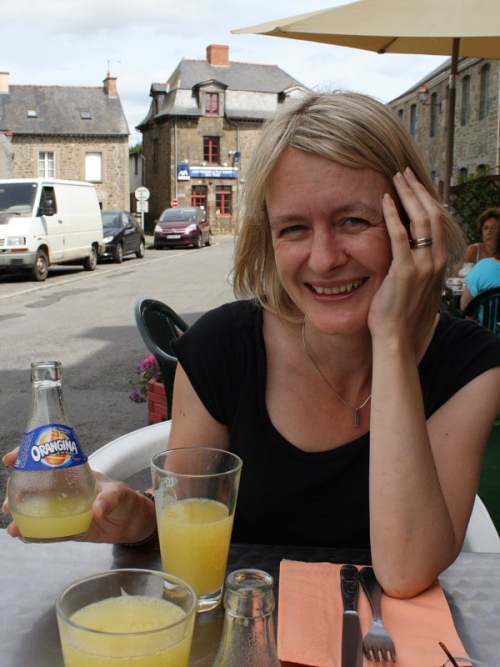 Orangina is best enjoyed in France, or on the continent, at the very least. It tastes different anywhere else (well, actually, it doesn’t, it tastes exactly the same, but the context is all wrong and the mood isn’t there, and it’s probably raining outside and, well, you get the picture. Some things are cultural as well as gastronomic). Note: Jenny, pictured above modelling an Orangina bottle, is wearing a top from this season’s collection at American Apparel, and has a new plan for managing French border crossing points on the English Channel. She considers French people to be emminently more stylish than their Anglo cousins, and suggests that they need protecting from the worst of the British nation’s fashion crimes. Jenny proposes setting up a new check at all ports for basic fashion mistakes made by inbound passengers – sportswear, men’s three quarter length cargo shorts, white socks, sandals worn with socks, any kind of electronic device clipped to a belt, etc. Any transgressors would be returned to the ferry to either a) change or b) return to Britain where they can’t hurt anybody. Taking action, Jenny insists, would be in everybody’s best interests. The top was from Gap actually!! And I wasn't joking! very well spotted!, it's actually my favorite drink indeed with Perrier, and yes, I miss it elsewhere. I have no idea why it does not work elsewhere. It is quite a natural drink, probably why we like it so much too..
Can I say that I entirely agree with your wife and that she looks tres tres chic!